Trollperle, that looks beautiful, congrats to your man and gold clover, I think I will now get the gold clover too as I did not find anything that could please me in the autumn collection, but will have to wait until my jeweller is back from her holidays. That is gorgeous Trollperle! The amber and darker beads look so great with the gold. Fairy, your latest post is empty, could you maybe repost? The soft pink and green is very subtle and pretty. Gorgeous can't wait to try and combine them with some hold too! your bangle combos look extremely beautiful Trollperle! It is a beautiful combination of beads as usual Catsworld! 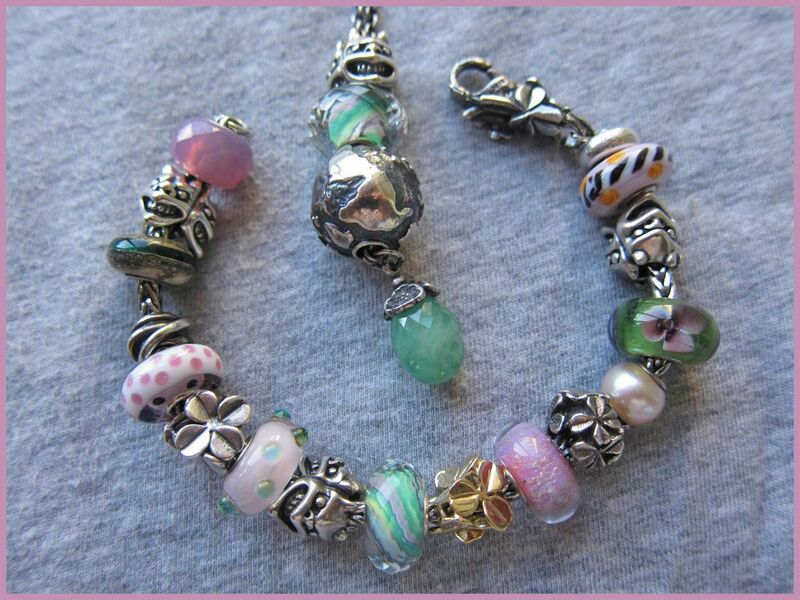 I always love the your creativity in choosing beads!